A practical and spiritual guide to making everyday living sacred. 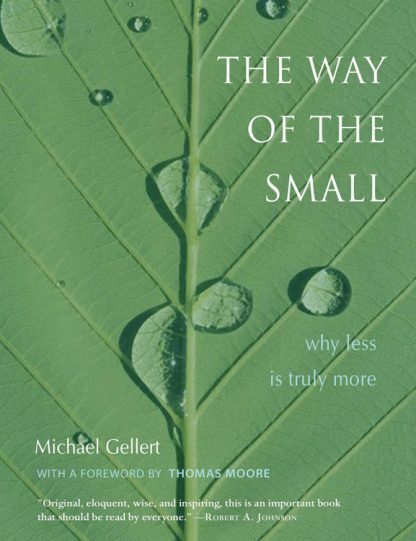 The Way of the Small: Why Less is Truly More explores the principals of a sound, wholesome exisistence for both the individual and society. Addressing the search for finding true happiness, meaning and success, The Way of the Small gives us new perspectives based on old wisdom on what makes for a truly lived life. A practical and spiritual guide to fulfillment, it illustrates that happiness is found in "the small"-in ways to celebrate the precious small gifts of ordinary life and experiencing the sacred in all aspects of life. We are reminded that "Less Is More, Simpler Is Better." The Way of the Small teaches ways to embrace even life's more difficult passages such as aging, failure, illness, or the loss of a loved one, making even our pain a path to the sacred that helps us find meaning in life as it happens. * Offers 22 key principles to activate the way of the small--simplify and discover true happiness. * Especially relevant for mid-lifers, helping the process of sifting through life experience and finding what is of true essence, personally, spiritually and worldly. * Relates the how "smallness" is part of established major religions and spiritual teachings. * A practical and spiritual guide to help us navigate a way of living in our complex times that leads to a happier and more meaningful and balanced life. Michael Gellert is a faculty member of the C.G. Jung Institute of Los Angeles and a certified Jungian analyst in private practice. He has been a college professor and a mental health consultant to the University of Southern California and Time Magazine. He is the author of Modern Mysticism: Jung, Zen, and the Still Good Hand of God and The Fate of America: An Inquiry into National Character.